ONBOARD VIKING GULLVEIG - There's nothing quite like a delicious breakfast to help kick start your day and we were grateful for the generous selection we found on our ship, before we headed out to tour Passau. A large selection of cheeses, cold meats, yogurts, fruit and freshly made bread spread across the buffet table made for difficult choices. A sizzling omelet station and a full roster of a la carte options offered a range of tempting choices before we left to meet our very knowledgeable guide, Carmella for our tour of Passau. Known as the "City of Three Rivers," Passau sits at the confluence of the: Inn, Iliz and Danube Rivers and is the last major German city on the Danube on the border of Austria. Following that, we viewed a gingerbread-making demonstration at Café Simon, which is owned by four generations of that family. We were treated to "pounch," - a hot rum drink - and samples of the dark cake, which we were surprised to learn, doesn't actually call for ginger! 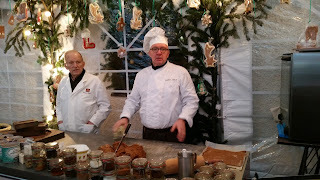 After a tour of the small Christmas Market - which rendered some typical souvenirs and Christmas trinkets - we returned to the ship where we were treated to a special Austrian teatime and Christmas cookie demonstration, courtesy of the ship's chef. 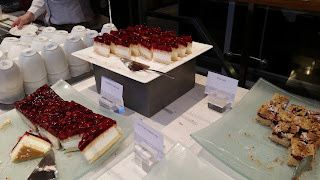 Delicate "vanillekipferl" (butter cookies) and coconut macaroons were made, then served to us piping hot in the comfortable Lounge - the heart of the ship's social activity. A special cocktail hour followed, with live music hosted by the captain, hotel manager and program director, before we went to have dinner with our new friends. One of the nice features about being on such a small ship is that it's easy to make friends along the way. We "clicked" with mother-daughter duo Ann and Laura from Pittsburgh, and Erika and Mitch - a couple from California - the very first night and found them to be very compatible sailing companions. I have to say that everything we've eaten since boarding the ship has been outstanding. Breakfast is always wonderful - whether taken on Aquavit Terrace or in the Main Dining Room. Coffee, tea, hot chocolate and cookies are always available in a special area just off the lounge and snacks are served with drinks in the evenings. No one will go hungry on Viking Cruises, that's for sure! The dinner menu always features regional cuisine, including a beef dish, fish or vegetarian choices. In addition to that, daily stand-bys, including chicken, beef and salmon are always an option if you don't want to tempt your palate with local cuisine. The desserts are decadent and always feature a regional favorite. The service throughout has been amazing and within hours of boarding, the crew knew our names and greeted us every time we saw them. All in all, this has been an amazing experience since we boarded. If there's only one "complaint" it's that the WiFi - although free - is unreliable and extremely slow - when we do get it. 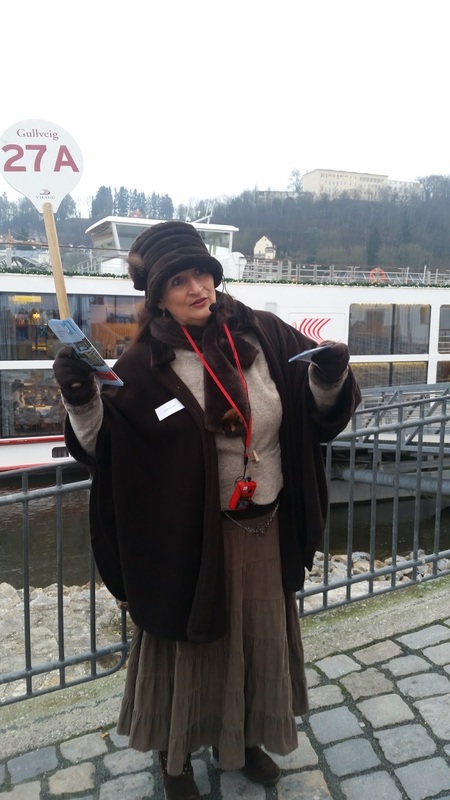 Hi Michelle - We aspire to river cruising and this is one of the routes we'd most like to take. Having not yet visited Passau, it looks lovely from the street and the ship alike! This truly was one of the most amazing trips I've ever been on. It was also my first river cruise and I'm now "hooked." I highly recommend the Danube itinerary - especially during the Christmas season. We took the same cruise on another ship in December! 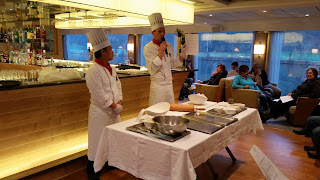 We just loved the itinerary and like you enjoyed all the guided tours and wonderful food onboard the ship. I'd love to take another one down the Rhine river. This was my first river cruise and I'm an ardent fan! It was one of the best trips I've ever been on. I'm hoping to do more. Viking really knows how to do it right, don't they? I found that out on my first ever cruise with them (of any cruise line, for that matter) last month in Portugal. Passau is on my list of Christmas market places. 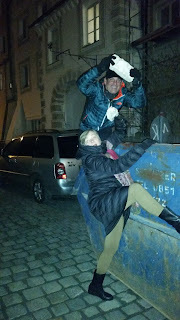 My husband and I have seen many in Europe -- we're kind of addicted to them. 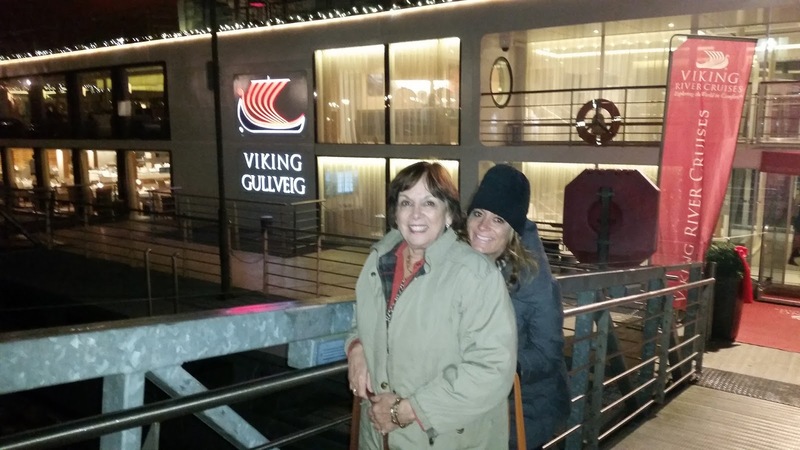 Sounds like a Viking cruise would be an excellent way to experience them. Viking is my new favorite mode of travel! I'm anxious to try the Portugal cruise, next. And yes...be sure to do one of the Christmas market cruises. You won't regret it! 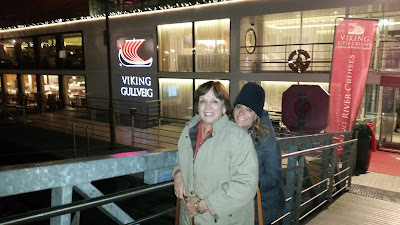 I loved my Viking cruise on the Danube. 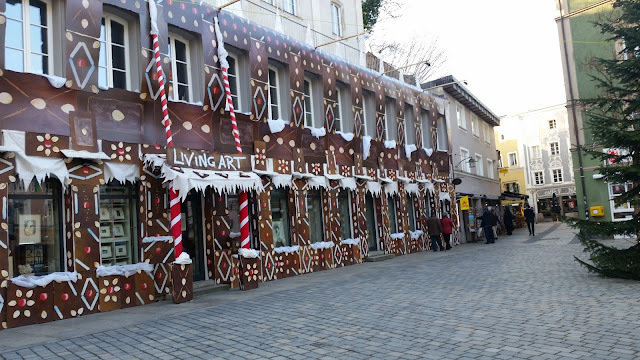 I can imagine how great it must be when all the small towns like Passau are decorated for Christmas!